Spring Retractable Air Hose Reel / Water Hose Reel Series 5005 - 1/2� I.D. Series 5005 hose reels are durable and compact for a wide range of applications with critical space requirements. A full flow shaft and swivel assures maximum product delivery. Reels are all-steel construction with a powder coat finish for ultimate corrosion-resistance. The standard low pressure hose is for air or water service only. The basic reel without hose can be used for air, water or oil. 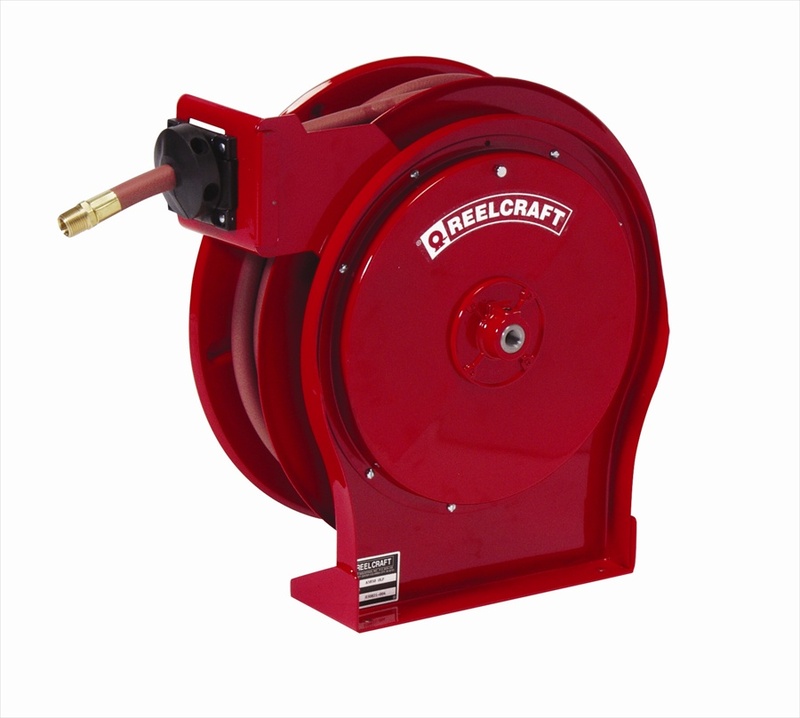 Consult Reelcraft for other products and hoses. Low pressure hose reels furnished standard with PVC hose. Compressed air hoses should not be converted to oxygen service - may cause explosion when O2 mixes with fuel.